American officials have said that the Pentagon is sending two warships toward the coast of Libya, the Associated Press reports. Earlier, the US announced it was sending 50 Marines to Libya to reinforce security at American diplomatic facilities. 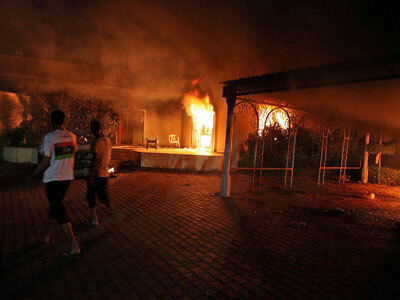 The move comes in the aftermath of an attack on US the consulate in the eastern city of Benghazi that killed the US ambassador to Libya and three members of his staff. The USS Laboon moved to a position off the coast Wednesday, and the USS McFaul is en route to arrive to its destination within days. Sources say that the vessels are equipped with Tomahawk missiles but are not scheduled for deployment yet, giving the commanders flexibility to respond to any mission ordered by President Obama. The destroyers have crews totaling about 300. American drones also were expected to join the hunt for potential targets. They would be part of "a stepped-up, more focused search" for a specific insurgent cell that may have been behind the attack, the official told the CNN. 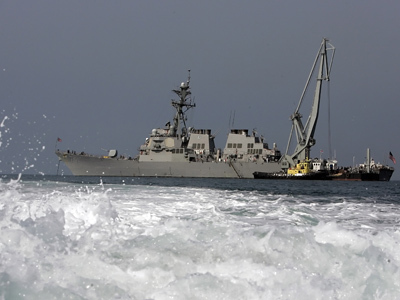 “The United States military regularly takes precautionary steps when potential contingencies might arise in a given situation,” Pentagon spokesman George Little said, without commenting on specific ship movements. The drones are expected to survey militant encampments over the North African country before handing over the information to the Libyan leadership to strike any targets. Earlier, a special task force of 50 Marines group known as a Fleet Antiterrorism Security Team was deployed to the Libyan capital, Tripoli. 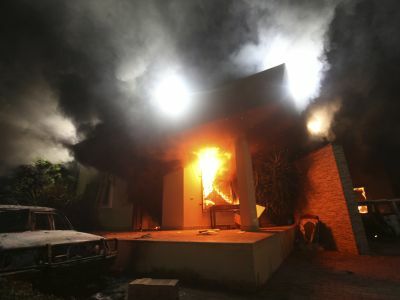 The attack on the Benghazi consulate that left US ambassador and three his staff members dead, forcing American embassies across the globe to tighten their security. 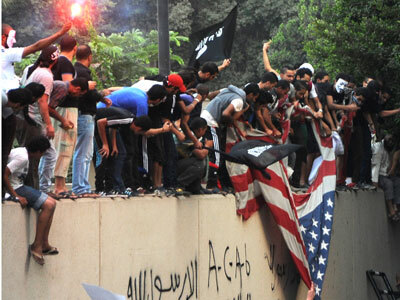 Meanwhile, protests over the American-made film satirizing the Prophet Muhammad are continuing and widening. Cairo saw a second night of clashes with police using tear gas against an angry crowd of protesters who threw stones and petrol bombs.